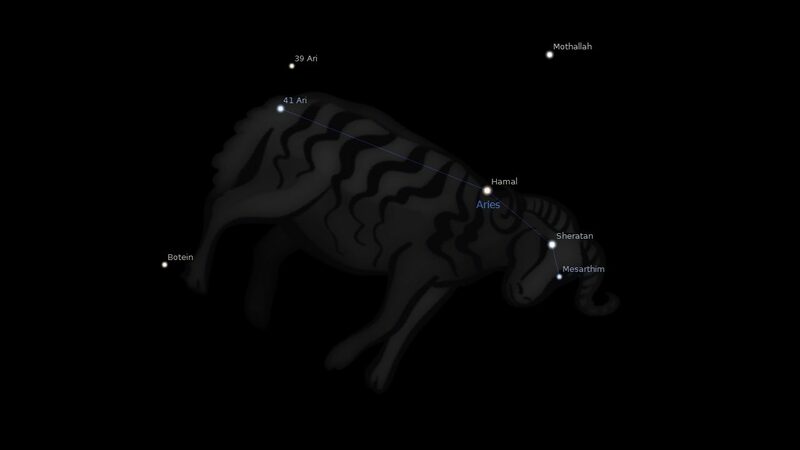 Fixed star Hamal, Alpha Areitis, is a 2.0 magnitude yellow star on the forehead of the Ram, Aries Constellation the Ram. The traditional name Hamal derives from the Arabic راس الحمل (rās al-ħamal) which means head of the ram. Hamal is a giant star that may host an orbiting planet with a mass greater than Jupiter. Between 2000 and 100 BC, the apparent path of the Sun through the Earth’s sky placed it in Aries at the northern vernal equinox, the point in time marking the start of spring in the Northern Hemisphere. This is why most astrology columns in modern newspapers begin with Aries. While the vernal equinox has moved to Pisces since then due to precession of the equinoxes, Hamal has remained in mind as a bright star near what was apparently an important place when people first studied the night sky. 1. Alpha Arietis – Wikipedia. 2. Fixed Stars and Constellations in Astrology, Vivian E. Robson, 1923, p.170. 3. Fixed Stars and Their Interpretation, Elsbeth Ebertin, 1928, p.19. 4. The Living Stars, Dr. Eric Morse, 1988, p.32. 5. Fixed Stars and Judicial Astrology, George Noonan, 1990, p.33. 6. The Fixed Star Health and Behavior Imbalance, Ted George and Barbara Parker, 1985, p.18. My DC is at 6 Taurus, so of course I’ve been cruelly treated in my lovelife. Consequently, I don’t really have one anymore. The effect unfortunately compounds with things like Sag Venus sq Pluto/Uranus in Virgo, sq Chiron in Pisces and opposing Atropos in Gemini. Love really is the most dangerous and the most painful thing in my life. The DC might also be expected to attract people who want to hurt me physically and indeed it has. Their kind is actually easier to deal with, all you need is some fighting skills and an attitude to match. So sad Janne but very good interpretation for DC. Hamal(house 10) perfect trine with natal sun. New moon april 26 perfect trine ascendant, square natal sun and opposite natal mars. 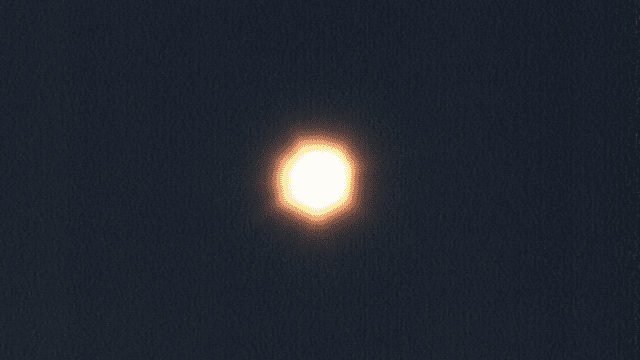 Next full moon, moon conunct nepptune(house 5). Next solar return, ascendent conjunct sun and mars conjunct sun. Is it good Janie? Only conjunctions to fixed stars matter Migberr. But those aspects from the moon phases seem fine apart from the one activating your Sun square Mars. Make sure when calculating your solar return that you set it for your current location and try to use precession correction, especially is using the Ascendant like you have. In the 7th…how should I interpret this? I think Melania Trump has Hamal conj Sun, describes her hubby very well.